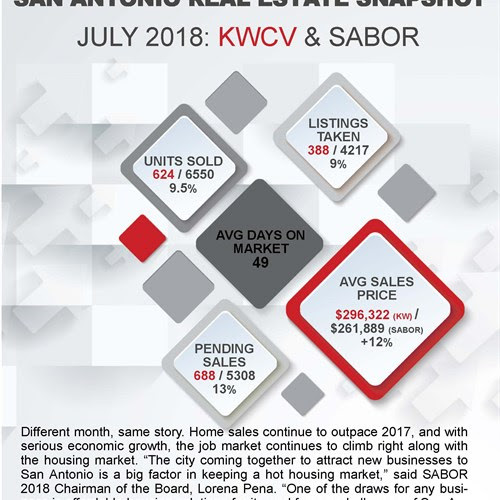 San Antonio is still a hot housing market, and home sale numbers in general are continuing to outpace home sales. Prices are increasing, too. That said, the sale of inventory (pre-owned) homes is slowing. That said, with the continuous lack of inventory, rising interest rates and home prices, and the 4th consecutive month in a row of a decline in the number of sales of pre-owned homes, it seems like we have hit the market shift. A shift in the market means that we are shifting from a seller’s market to a buyer’s market; it’s a pendulum. It doesn’t mean we are going from a “good” market to a “bad” market. What it means is that the unsustainable housing price inflation is stalling out, which will help create a more stable housing and local economy by allowing for more people to enter the housing market over the coming years rather than pricing them out and creating a huge housing bubble. If you’re concerned about not getting the best “deal” or waiting to see a market bottoming out before buying, I don’t think we’re going to see anything like what we experienced previously; that’s a once in a lifetime (God willing) market shift that had many more factors at play than what we are now facing. If you are looking to invest, the time to do so is always today. At the end of the day, wealth is built in real estate by TIME IN MARKET not by TIMING the market. If you want to learn more about what that means, or if you want to know more about what the current market situation means for your home buying or selling purposes, send us a message, and we’d be happy to walk you through what’s best for you in your scenario.